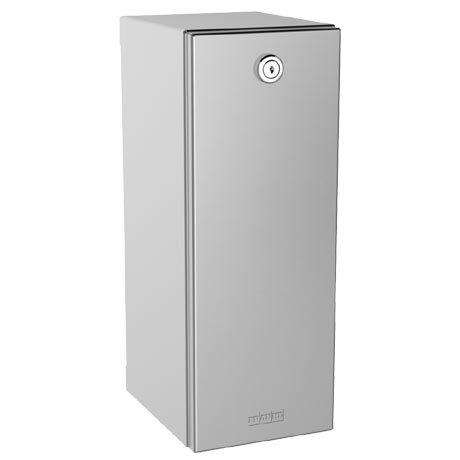 The Rodan RODX618 is a quality constructed soap dispenser made from 0.8mm thick satin finish stainless steel. It features a folded front cover and lock which comes with a Franke standard key. It's 800ml tank allows you to fill it with liquid soaps and lotions while the pull lever at the bottom conveniently dispenses the soap. Includes stainless steel screws and dowels.